Businessmate (pvt) Ltd. (HLB) contracted share issues management software systems to OpenArc. This new software solution includes share ledger management, dividend issue, right issues; bonus issue with bank reconciliation of it is customers. Businessmate (Pvt.) Ltd a subsidiary of HLB Edirisinghe & Co. HLB Edirisinghe & Co., the “flag ship” Firm of Chartered Accountants, was established on the 1st of August 1985 by the Founder Partner; A.T.P. 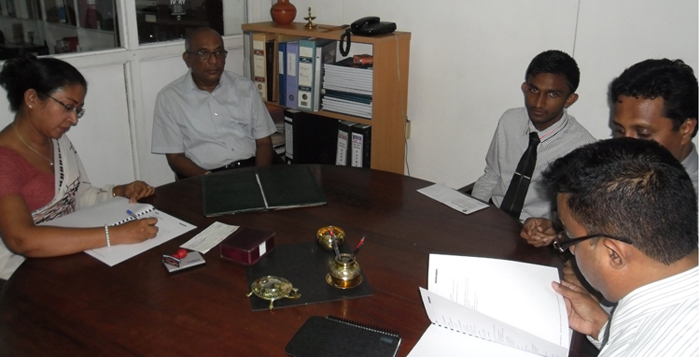 Edirisinghe with three employees. HLB International is a world-wide network of independent professional accounting firms and business advisers which is formed in 1969. The network comprises member firms in over 100 countries who, collectively, have 1,900 partners plus 14,500 staff in 500 offices. Member firms provide clients with a comprehensive and personal service relating to auditing, taxation, accounting and business and financial management advice. OpenArc Systems Management (Pvt) Limited established in 1991, has been developing and implementing enterprise software solutions over last two decades. Specializing in the banking and finance, securities and stock markets, as well as enterprise resource management solutions, eSecretary (Share Issue Management) is a fully integrated, flexible , modularized and customizable solution developed by OpenArc. It is a software platform to handle all the shares and debentures related processes and activities using forefront technologies. The system gives instant access to share and debenture related activities. The system is designed to run on a network architecture The security mechanisms supports appropriate access rights to uses thereby preventing any security breach or privacy conflicts. OpenArc, with the experience in the software industry for over two decades, primarily as a successful product based company, OpenArc has captured the market leadership in Sri Lanka for their products in many sectors and earned a reputation as a long term quality IT service provider. OpenArc specializes in business software for Merchant Banking & Finance, Stock markets, Manufacturing & Trading sectors and develops totally integrated Sri Lankan software solutions on current technology platforms such as Java, .Net, Progress, and Open Source. OpenArc is an ISO 9001:2000 quality certified and CMMI Assessed software company with a professional team qualified in multidisciplinary industrial sectors such as Engineering, IT, Accountancy and Management.